Tuning tools for electric bikes with Bosch, Yamaha, Shimano STePS, Brose, Impulse and Bafang Max Drive engines; developed, tested and produced by experienced programmers and designers in the Czech Republic. 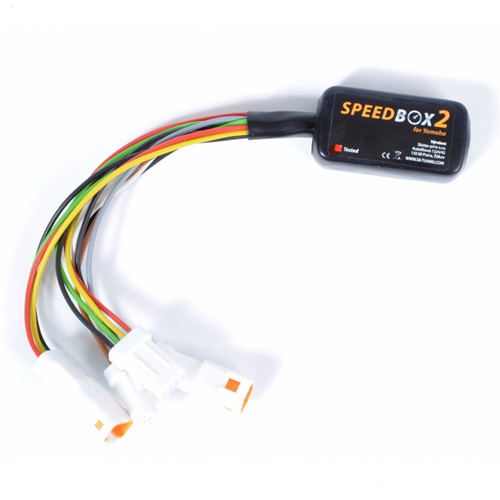 The SpeedBox device takes away the 25 km/h speed limitation and shifts it up to 50 km/h (approx. 32 mph). If you use the original “SpeedBox” devices, the electric bike display will only show half speed if the tuning is activated, but if you use the new “SpeedBox 2” series the display will show the correct speed (available for Bosch and Yamaha drive systems). Please note: Only the km/h (kilometres per hour) values will be shown correctly, not the mph (miles per hour) values. The installation of the SpeedBox devices is very easy, because due to the shape of the plugs a faulty connection is not possible. The installation of the device does not cause any damages to your electric bike. By the way, every SpeedBox is being tested before dispatch. 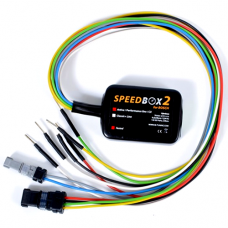 According to the manufacturer, the SpeedBox tuning tool consists only of high-quality components produced by globally known manufacturers. The microcomputer which controls the device has even been certified for the automotive industry! Many customers in the whole world already use the SpeedBox to make their electric bicycles faster.